This summer I had the pleasure of helping to facilitate a fabulous wine dinner at Old Vine Cafe that centered around the wines of Terlano winery in Alto Adige. Chef Mark McDonald had already tasted the wines with his sommeliers, and had developed a menu specifically for the wines they selected. It was one of those events where everything just falls into place- the wines were singing, the food was perfectly matched, and our fearless leader, Master Sommelier Peter Neptune, was truly on fire. He prefaced each course with a rousing mini-lecture about the winery, its varietals, and the magic of food & wine pairing. 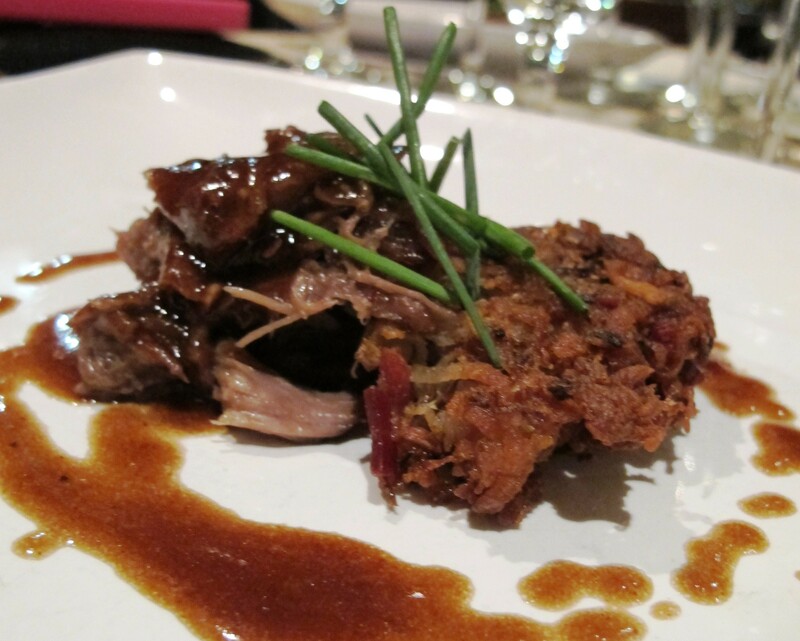 Chef Mark also gave us a little insight into his thoughts on pairing each wine with its coinciding dish. Chef Mark started dinner by pairing Terlano’s Classic Pinot Grigio with a crisp summer salad. 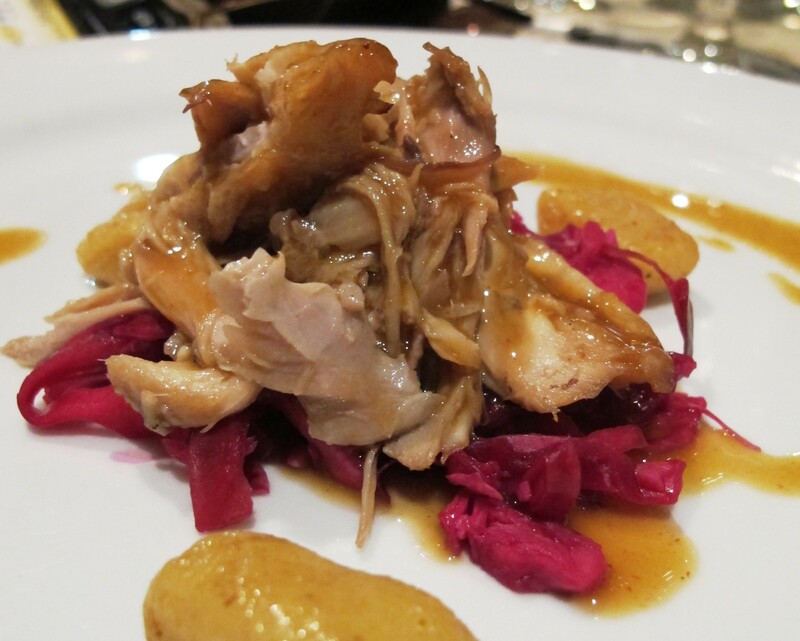 The intensity of each dish progressed throughout the night, as did the complexity of the wines. Alto Adige in the OC. Now that makes me happy! 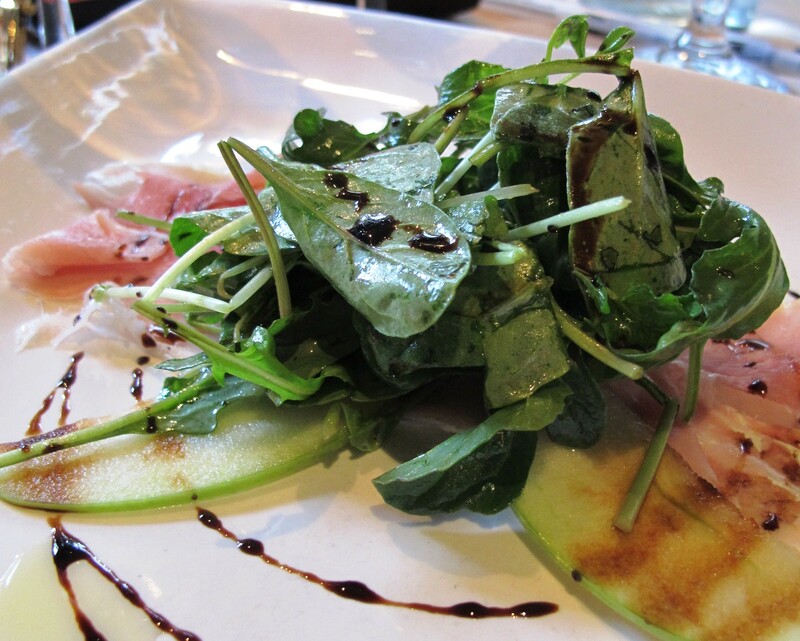 Wild Baby Arugula, Dandelion Greens, Pea Sprouts, Granny Smith Apples, Prosciutto, Olive Oil & Balsamic Reduction. For desert Chef Mark whipped up some house-made goat cheese & orange blossom ice cream- salty, almost entirely savory and yet heavily perfumed. He paired it with the 2006 Terlano ‘Lunare” Gewurztraminer– an oily, late-harvested, dry-vinified wine that really stole the show. Unctuous, full of lychee and rose petal aromas, the wine cut through the fat of the ice cream with its surprisingly high acid, while the aromatics mimicked the floral notes from the ice cream. If you live in the Orange County area of Southern California and you haven’t experience Mark McDonald’s food, you really need to stop in the Old Vine Cafe. 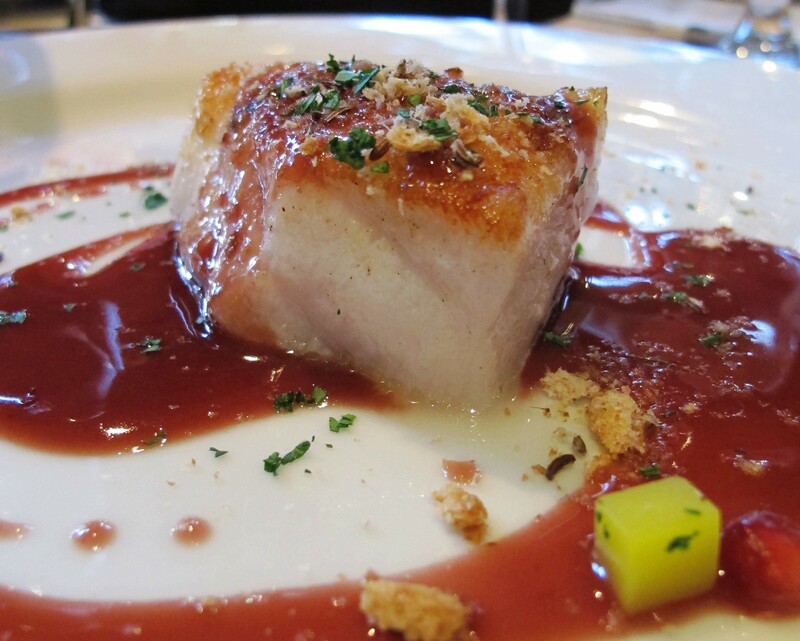 This restaurant just celebrated its 5 year anniversary- a tribute to the quality and ingenuity of the food and wine program. Swing by, have a bite to eat, and a glass of Terlano wine while you’re at it! Wow! That meal looks absolutely amazing! It was by far one of the best culinary experiences of my life. Mark really matched the food to go with the wines. It was ridiculously tasty, and an awesome way to introduce people to a new winery, and a new wine-making region. So fun! What a gorgeous venue, and the food- wow!